As the 3D printing industry heats up, so do the jet and car engines as we continue to travel around the US and the world to check in on the latest developments directly. 2016 kept us busy, from trade shows to site visits, from Barcelona to San Diego, as we went around the world in 3D printing to bring you the latest news firsthand. 2017 is not only following that trend, but seriously upping the pace as in the first six months of the year we have seen developments and announcements from Las Vegas to Brussels. Before I catch my next flight out — to attend next week’s International Conference on Additive Manufacturing & 3D Printing in Nottingham, UK — the early days of July seem an appropriate time to look back on where we’ve already been. 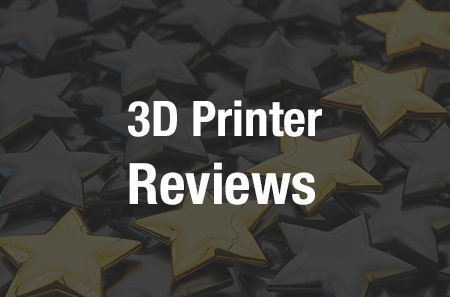 After all, as industry expert Todd Grimm recently noted, it’s becoming almost impossible to do annual reviews anymore with the remarkable speed of developments in 3D printing. January 2017 started out at CES in Las Vegas, where I spent a week in Sin City to check out the year’s premiere event in consumer technology. 3D printing has been making its presence more widely known each year, and for 2017 that was apparent even before the official first day of CES. The show was exhausting, of course — you can check out my reports from days one, two, three and four — as Vegas celebrated the 50th CES. This year, 3D printers, 3D scanners, and other 3D technologies, hardware and software alike, were on display and never in short supply. Though this event had fewer 3D printing-specific companies than seen previously, there was still plenty to keep me busy on the show floor, including meeting one of the single most inspiring humans I’ve ever come across. On top of that, some of the new 3D printers unveiled, and those on display for the first time in the US, were worth the trip. Later in January, I drove down from my own home base in Cleveland to Columbus, Ohio, to see a showcase of collaboration… centered around beer. Columbus-based 3D scanning company Knockout Concepts worked with local 3D printing enterprise IC3D and local artist Kendric Tonn, along with a slew of area breweries, to 3D scan, 3D print, and paint perfect likenesses of brewmasters, which topped the taps at a one-night fundraising event: the Tap Takeover. This event was a great representation of what can be made possible on the local scale through advanced technologies; more than $5,000 was raised for local schools through this endeavor. Admittedly, for this one I didn’t so much go around the world as work in my office. In January, I finished out a few months’ work with the Ultimaker 2+ 3D printer, doing a hands-on review. We strive to keep everything real for you here at 3DPrint.com, including looks at the technologies we report on every day. I had a great experience with this 3D printer, and feel secure in our reporting on Ultimaker as a company that makes reliable desktop 3D printing technology; we’ve also included the Ultimaker 3 in our 2017 3D Printer Buyers’ Guide, and another of our writers is testing that machine out now. February got off to its busy start out in LA, as SOLIDWORKS World 2017 brought the focus on to the world of SOLIDWORKS. Hosted by Dassault Systemès, the event kicked off on Super Bowl Sunday with some big energy and some big showings in 3D technologies. Among the big names in 3D printing present at the show were Carbon, HP, Markforged, Mcor, Nano Dimension, Rize, Stratasys, and Ultimaker, along with FATHOM and Proto Labs, which offer services. As prototyping comes back into the spotlight, Stratasys used the show as the launchpad for its F123 series of 3D printers, designed to address existing deficiencies in using 3D printing for prototyping. SOLIDWORKS World programming kept 3D in focus, showcased through elaborate spectacles all firmly grounded in today’s — and tomorrow’s — reality. 3D printing made quite a splash this year, and this event proved a great place to talk to those working at the forefront of some pretty impressive technological advances, as well as to see the latest hardware up close. Encouraged by local beer benefiting from 3D printing, I set out on the road back to Columbus to see what technology can bring to pizza. BeeHex recently moved its R&D operations, so I visited their still-new setup in central Ohio to talk to the team about what they’ve got cooking (pun intended). Sadly the equipment was not yet up and running, so I still haven’t had a 3D printed piece of pizza, but I did get to see an earlier-generation 3D printer that put open sourcing to delicious use, with some LulzBot tech included in the system. The team behind BeeHex has roots at NASA, and space-age tech at their office includes a mobile robot that let us keep in touch with the CEO when he popped out for a bit. While February was only a few months ago, my visit to check out IC3D’s operations is already out of date as the company recently packed up and moved to a much larger, 10,000-square-foot warehouse space in Columbus, Ohio, consolidating their 3D printing consumables manufacturing, 3D printing service, engineering, and operations into one site. Still, the operations they had in the smaller space on the campus of The Ohio State University had a lot going on when I met with the team on an unseasonably warm February day. Various 3D printers were, that day, creating designs for use in college classes, cosplay, and some contacted creations, as the team filled me in on some of what they had in the works. The inside look into operations provided some invaluable insight into the mindset at IC3D, which shortly thereafter announced the world’s first open source filament. While I didn’t make it over to their busy operations center, I did use my time in Columbus to catch up again with 3D scanning company Knockout Concepts, chatting over lunch with the company’s Special Projects Manager. 3D scanning for human-centered design is central to Knockout’s vision for the future, I learned. This growing application for 3D technology has a lot to offer through virtual avatars, virtual clothing fit, health monitoring, and much, much more. This is a bit of a change of pace for a company that had its start in designing, from scratch, mobile 3D scanners to ensure that scanning could meet the demands to be placed on it. 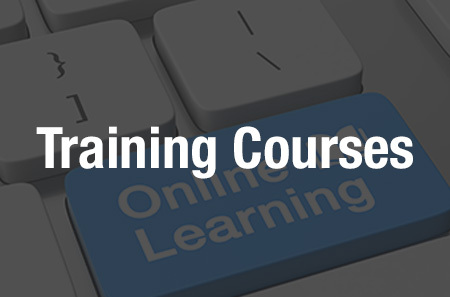 Knockout Concepts’ approach involves customized solutions as well as a collaborative, and local mindset. March started out closer to home, as MakerGear calls Beachwood, Ohio its home. The company, headquartered east of Cleveland, is well-known for its workhorse desktop 3D printers, and I had the opportunity to visit both the company HQ and a manufacturing facility farther east in early March. I was one of MakerGear’s first media visitors, as the company has been focused more on creating quality 3D printers than on promoting them, so it was with great interest that I walked in their doors. 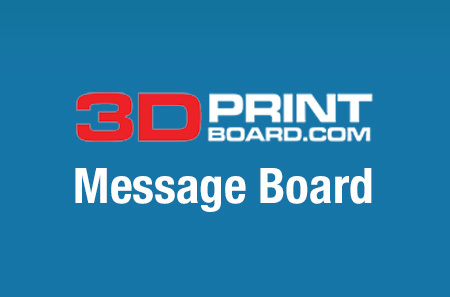 Talking with the team, including the very involved CEO, showcased a business that keeps its values in high priority with every step forward, including in the recent release of the new M3 3D printers in early May. Local manufacturing offering global quality underlies the MakerGear story, and that was very apparent in a firsthand look at how these well-known 3D printers are made and sent into the highly receptive market. I next turned north, heading to Toronto, Ontario, Canada for the second Be3D Conference, which urged attendees to “Think Forward.” Think2Thing and Ryerson University came together again to host the event, which offered an interesting agenda focusing on various areas where 3D technologies can influence and impact developments. Seven speakers took the stage throughout the event, touching on applications from immersive VR in film to 3D printed art. One interesting idea that came up several times was that of Toronto as the center for developments in a 3D revolution, and with so much to see there, it’s easy to see how this may be so. The tech scene is thriving in Toronto, with a great deal of support from Ryerson and from Think2Thing, which are both highly involved with the community. I also had the opportunity at the conference to interview a local artist and architect, who provided deeper insights into the community and the work possible with 3D technologies. While in Toronto, I also visited the Be3D Conference sponsors, getting a look at some of the goings-on at Think2Thing and Ryerson University. Think2Thing, for its part, focuses on 3D printing and keeps context at the fore. The story is important to this art-driven company, I learned as projects it undertakes all work to keep an honesty in presentation. This company seeks to use 3D printing, 3D scanning, and other 3D technologies to their greatest potential. Nearby, Ryerson University houses some great minds at work in its Discovery Fabrication Zone; among these is young fashion designer Stephania Stefanakou, a recent graduate who brings 3D printing into her wearable designs. I met with Stefanakou to discuss fashion and technology in an increasingly technological world, as she showed me her workspace and shared her vision for a 3D printed and fashionable future. Ryerson and Think2Thing have since awarded the 2017 Be3D Innovation Grant to another up-and-coming fashion designer as Toronto continues to foster 3D design. In Oregon, HP has been hard at work in furthering its work toward 3D printing materials development as its site in Corvallis houses a new Open Materials and Applications Lab. As one of the first visitors to the lab, I learned more about HP’s approach right from the company and several of its partners. The approach to certifying powders for use on the Multi Jet Fusion 3D printing platform became more streamlined through the dedicated lab space and the newly introduced Material Development Kit created with partner SigmaDesign. The opportunity to don an HP lab coat and walk through the lab, checking out first-hand the step-by-step process involved in creating new materials for use specifically with MJF technologies, provided a much deeper understanding of what the company is doing. It was also a great time to meet some of HP’s partners, several of whom I’ve kept in touch with to continue to learn more about the processes and partnerships. April kicked off what I referred to affectionately as my five trips in five weeks as I set off on, frankly, quite a lot of planes to bring more first-hand looks into the larger world of 3D printing in a back-to-back spree of site visits and conferences. I started out in Belgium, visiting the Leuven headquarters of Materialise. We talk a lot about Materialise, and I’ve talked with the team at several conferences over the last couple of years, but this was my first time to walk the halls of their HQ. Alongside a small contingent of journalists from the UK and France, I appreciated the time to look at some of the many 3D printers Materialise houses, as well as designs we’ve written about before that are on display in Leuven. It was then time for the biennial Materialise World Summit, held in Brussels; this was my first time attending this event, and it may have just become my new favorite. The high-level conference event cut to the heart of the matter, presenting a no-nonsense look at various applications for additive manufacturing technology in industry and healthcare. From a government official to a number of experienced surgeons to the CEO of Materialise, the event presented the opportunity to gather some incredible expertise together in one event center. In addition to some interesting insights shared during keynotes and conference sessions, I had the opportunity to interview a Siemens executive and a cardiac physician to learn more about how 3D printing and technology are moving to the realistic fore in various intensive applications. Of course, as attendees were reminded throughout the event, the future of 3D technologies is not a lonely path, but a highly collaborative one. Sometimes first-hand information is actually first…foot. I sent in a couple of photos from my phone and received my own customized pair of 3D printed insoles from Wiivv, which I wore to Materialise World Summit, and several events since, to test out the company’s claims of personal insoles. Walking with Wiivv provided me the confidence to say: yes, these are good. MWS17 was my first conference in a sadly long time that I did not come back with blisters or bloodied feet, and the insoles really did match up perfectly with the shapes of my feet. At the end of April, I headed to Kansas, my first time in the state, to check out a brand new facility with some great promise for aerospace — and academics. Wichita State University opened new facilities, with centers from Airbus and Dassault Systèmes, at its Innovation Campus. The campus’ Experimental Engineering building now houses a 3DEXPERIENCE Center, offering students and professional companies an impressive array of 3D technologies to advance developments, largely geared toward aerospace. Virtual reality, robotics, an assortment of 3D printers — you name it, this center has it, including the massive MRAM (Multi-Robotic Advanced Manufacturing) system that has some major, large-scale potential. Being on-site for the grand opening was an unforgettable experience, from the robotic ribbon cutting to the lingering sense that gosh, I wish my college had had a center like this back in the day. As May kicked off, I kept trip three of five a little closer to home and headed south to Cincinnati, Ohio, where France-based BeAM Machines had recently opened its new US headquarters. As the first media guest to the new site, I was excited to see the first Magic 2.0 additive manufacturing system in North America and to learn more about what the company has in store now that it’s officially operating on this continent. The Cincinnati Solutions Center has a lot to offer, and I appreciated the team’s time in showing off what they have in the works. The AM Room on the site is in place to set a new gold standard for health and safety in additive manufacturing operations, on top of all the R&D, sales, training, service, and other functions ongoing at the site. Mid-May brought North America’s largest 3D printing-focused trade show, as RAPID + TCT came to Pittsburgh for 2017. The event was intense, from pre-announcements through the last day — and beyond, as we all worked overtime to report on the absolute mountain of announcements made during the week. Summing up RAPID for this year in a paragraph is effectively impossible… let’s just say it kept team 3DPrint.com very busy, from writer Mike, co-founder Eddie, and me on the scene, talking and interviewing, and the rest of our team typing up a storm as the announcements piled in with new partnerships, technologies, products, and more. 3D printing has come a long way. You can check out our full coverage of RAPID 2017 here. While in Pittsburgh, I made a pit stop at 3D Printing Pittsburgh for a local makerspace meetup held at HackPittsburgh. Well attended by the local community, as well as several additions brought in from RAPID, we heard from Ultimaker, MatterHackers, and Matt Stultz of both HackPGH and Make: Magazine. The event was a big hit, and those who attended included some of those behind some great technologies that have recently recognized even more potential than their makers knew, as BoXZY’s CEO told me shortly after we met there. Rounding out the fifth stop on my five-city tour was Chicago, as I headed in for an Additive Manufacturing Symposium and a taste of Science in the Age of Experience, hosted by Dassault Systemès. A series of intensive, and intensely interesting, sessions from educational and business experts kept about 200 people enraptured during the day-long Symposium event. From a little more information on the work adidas is doing with Carbon in 3D printing shoes to take to mass market to talking with a Carnegie Mellon professor with a lot to offer in the way of metal additive manufacturing developments, the Symposium was an absolute wealth of information geared toward those familiar with some of the science behind it. This was no event for hand-holding, as the fast-paced agenda kept the information coming in a steady stream of high-level, high-impact presentations. The two days I was in Chicago shed a great deal of light on how simulation is helping 3D printing to get real. June opened with an open house, as fellow Clevelander Clare and I headed down to Akron to visit with the young company Additive Engineering Solutions, which is seeking to bring 3D printing to local operations in a very big way. Operating one of only 13 BAAM machines in the world, Additive Engineering Solutions is setting out on its large-scale visions. Clare and I had the opportunity to meet with not only the company’s president during the event, but also to talk more with GE Additive there to learn more about where local operations and large-scale 3D printing fit into that company’s vision. During our afternoon in Akron, we also talked with some of the team from America Makes, which is based in Youngstown, as well as see familiar faces like the CEO of MakerGear, and to hear from those working with Additive Engineering Solutions and throughout Ohio as additive manufacturing continues to turn the Rust Belt into the Tech Belt. Phew. It’s been quite a year already, and we’re barely halfway through. I’m off again next week to the United Kingdom as 3DPrint.com remains committed to gaining direct insights into the latest in the industry from the ground, and we’ll be continuing with ongoing series of interviews and our hands-on experience with technologies to always bring you the latest right from the source. Discuss in the Around the World forum at 3DPB.com.